The imminent GTX 1080 Ti may pack 10 GB of VRAM with a launch price between 900 to 1000 Euros. The GTX 1080 Ti is almost guaranteed to be coming even if Nvidia has been quiet on the GPU. 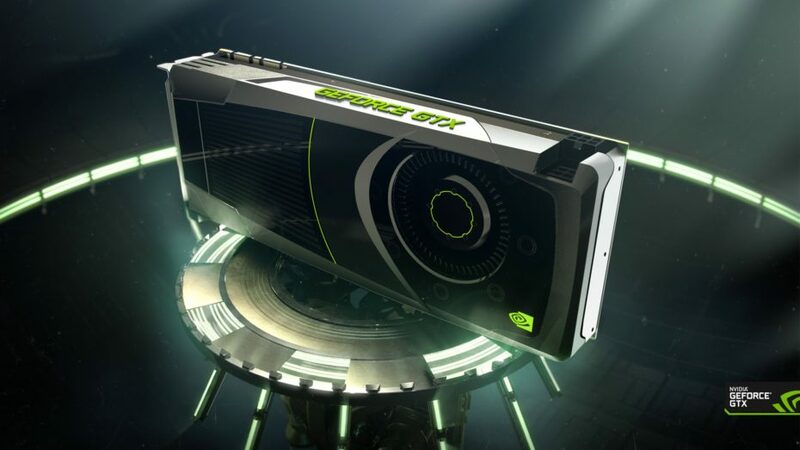 It remains to be seen how much of a performance benefit a supposed GTX 1080 Ti would offer over the existing GTX 1080 or the Titan X, but an official announcement at CES 2017 could be a possibility. New data has popped up at Videocardz on an unknown Nvidia GPU with the product number (699-1G611-0010-000) that the source has deduced to be a GP102 GPU. While this is similar to the Titan X, no other conclusions can be drawn about the performance of the mysterious GPU such as its number of EUs or base clock rate. Nonetheless, Videocardz is predicting that the card will be equipped with 10 GB of VRAM on a 384-bit memory bus, which would place it in between the 8 GB GTX 1080 and 12 GB Titan X. The leaked price shows 68,276 Indian Rupees or approximately 933 Euros. The recently released GTX 1050 Ti for desktops is expected to make its way onto notebooks largely unaltered in raw performance. Shrinking the GTX 1080 Ti to the same MXM 3.0b slot as the GTX 1080 would be a boon for gaming enthusiasts and a main selling point for resellers of barebones notebooks such as Eurocom or Schenker.